ICM Has become hot yoga. And now our community is in hot water. Yeah. The Muslims of Morrisville aren’t too enchanted by this change, either. 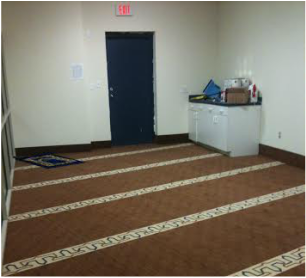 In 2009, alhamdulillah, our community first moved into this space, and for six long years, it’s been overflowing with activity. In the winter, we’ve held youth retreats in the mountains. In the fall, we’ve set up festivals in the field behind our building. In the summer, we’ve filled up close to bursting during community potlucks, iftars, and taraweeh in Ramadan. Even though we’ve never really had that much space, especially for a community of our size, Allah SWT has always filled our masjid (well, technically, our musallah) with barakah. ...A small space with hardly enough room to accommodate all the people who were once regulars at ICM, much less the amount of programs that were once in place. 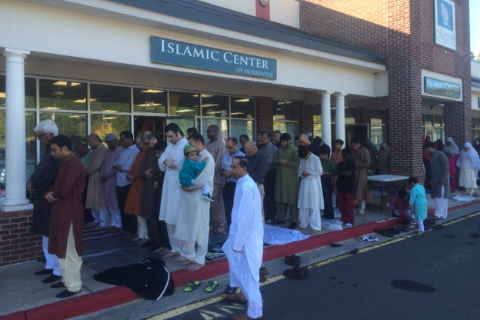 But there are nearly 2,000 Muslims in Morrisville, and this place can only accommodate 30. To be honest, we feel a little like sardines in there. Alhadmulillah, we’ve still got a chance. But we’ll also have room to expand like never before. What we need now is dua, support - and donations. We need to be able to pay for this new building by July 30th, 2015. Otherwise… well, we’ll be back to square one. Now it’s Ramadan, and the clock is ticking. We need only $1.1 million to be able to purchase our new masjid. To put that into perspective... if every Muslim in Houston alone gave $42 each, we'd be done fundraising in almost no time. ...Not to mention all the sadaqa jariya you’ll get by helping bring a place of worship to Morrisville. So if you have a moment (and you’re up for some reward in both dunya and akhira), please share our story… and whatever amount of donation you can give will be greatly appreciated. 1. Donate. No amount is too small! 3. Watch the reward accumulate!